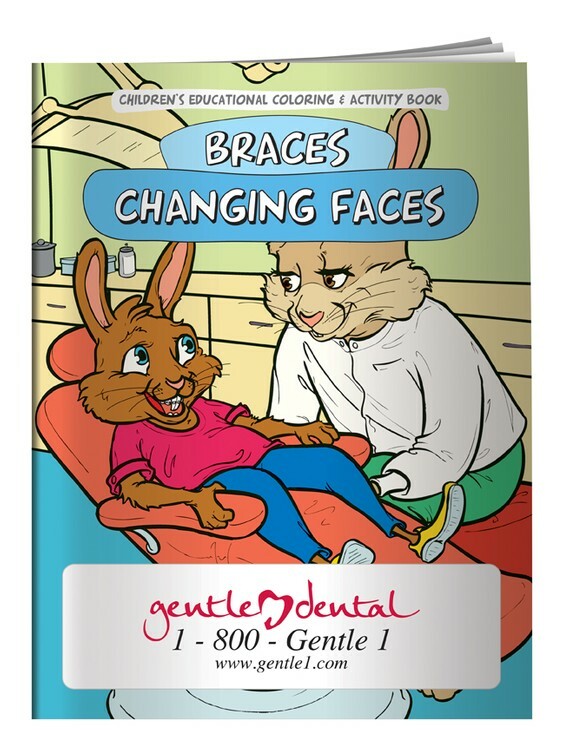 Everyone knows it’s important to visit the dentist, and this interactive book teaches children what to expect, so they can feel comfortable during their visit. The ability to personalize the book with a child’s picture creates an instant keepsake. 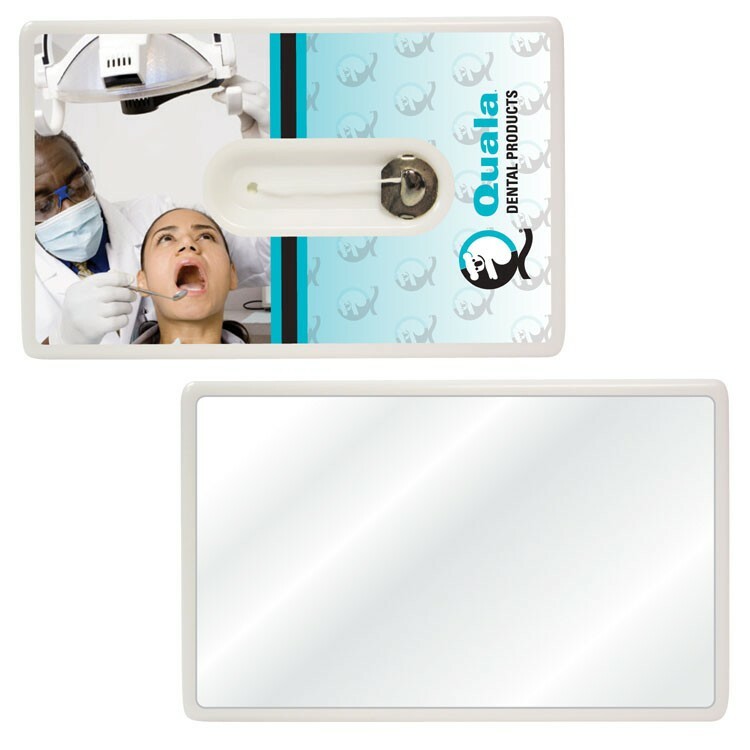 Invest in great dental hygiene with this credit card shaped dental floss with a mirror. 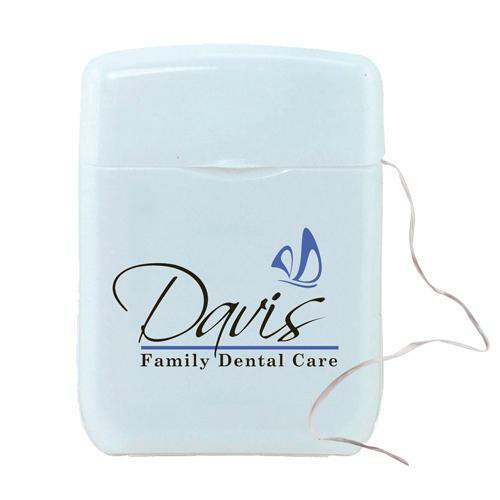 This mint flavored floss provides 11 yards of durable cleaning floss in a credit card shaped, pocket sized container. 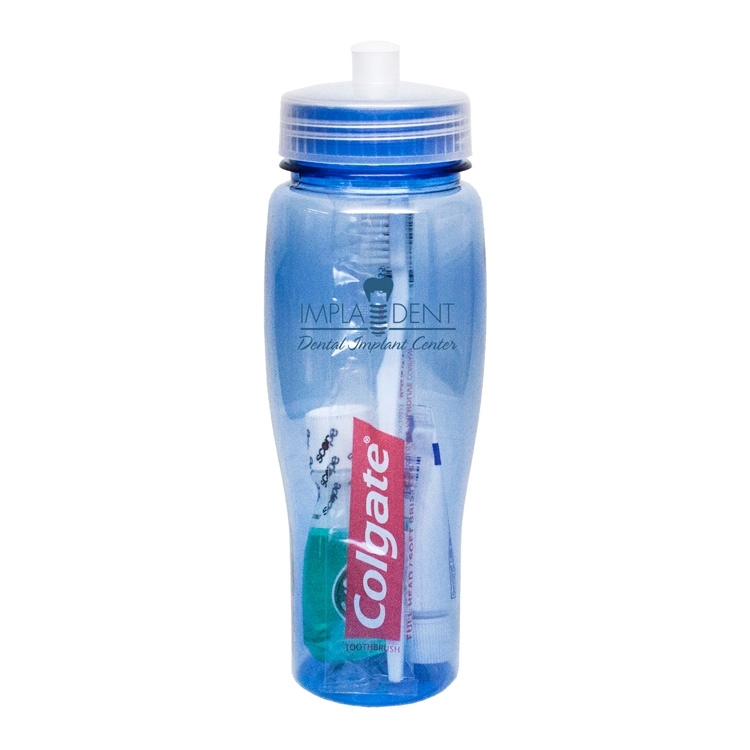 Each container includes a full color decal to provide you with your customized retail look. 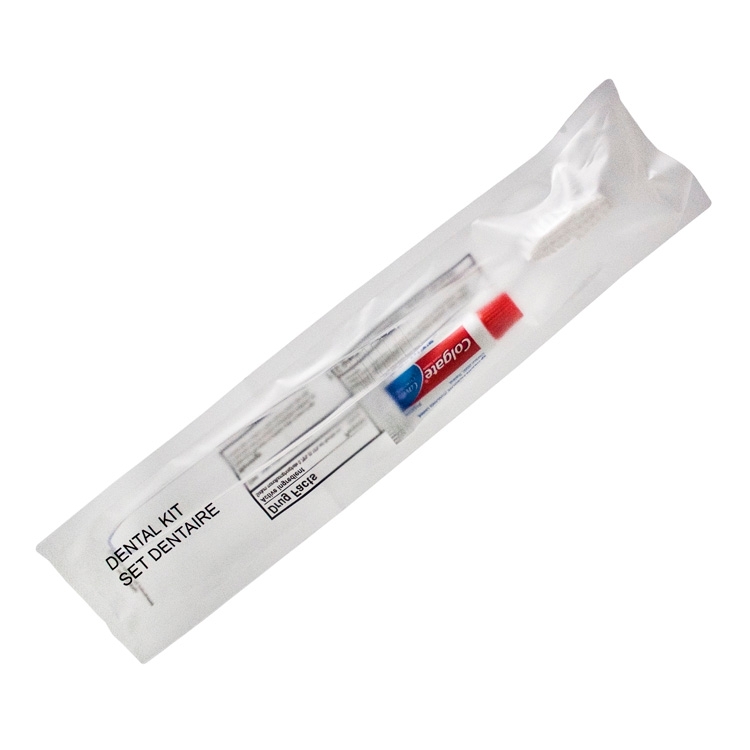 This product is great for dentistry practices, pharmacies or for any kind of health driven convention. 16 yards of cleaning promotion. Waxed dental floss in a tooth shaped container. Price includes a 4-color process laminated decal. 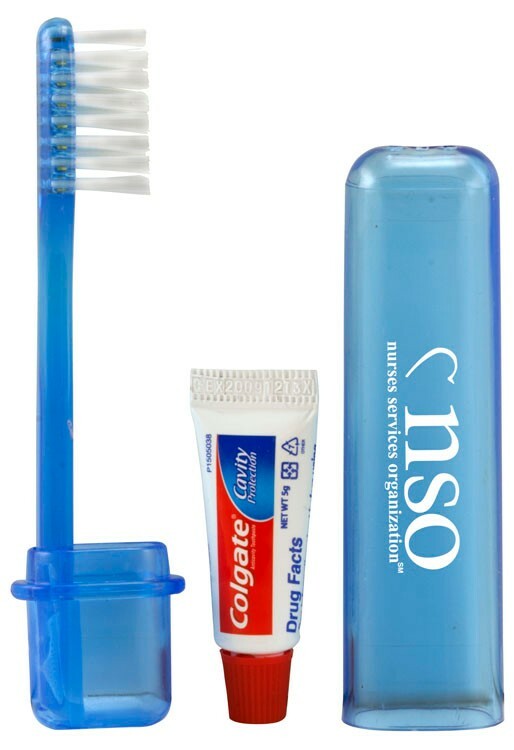 Take freshness with you wherever you go with this travel size toothbrush and Colgate (R) Toothpaste combo. 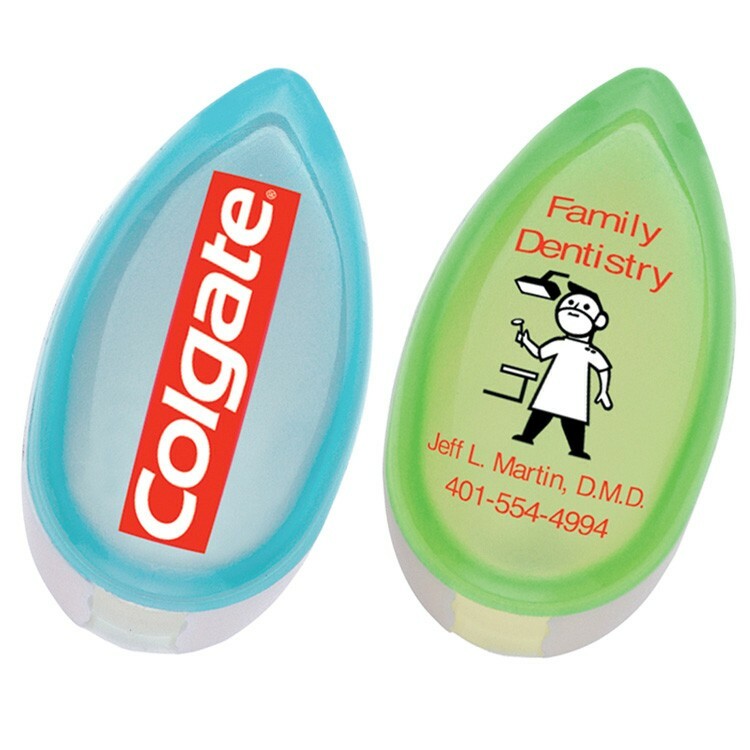 Each compact case includes 5 grams of toothpaste, a mini toothbrush and a customizable case to print your logo and enhance your customized brand. 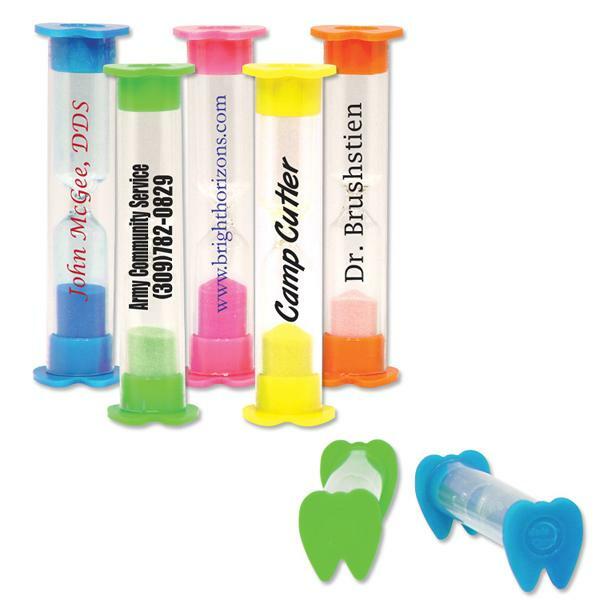 This product is great for the dental industry, traveling, orientations, transportation and so much more. Getting braces can be a difficult experience for a child, but they are not alone. Many other kids have them too! With this coloring book, they learn that sometimes teeth need extra help growing in straight & strong, but the end result is worth the wait. Special Note: Our stress relievers are made of squeezable polyurethane. Some distortion of the imprint can be expected and ink coverage can vary. Due to the nature of the material, uniformity of the imprint cannot be guaranteed and may break up. Because they are hand made, no two stress relievers are the same. Safety Advisory: These products are not intended for use by children under 3 years old or pets. Stress reliever color may vary. 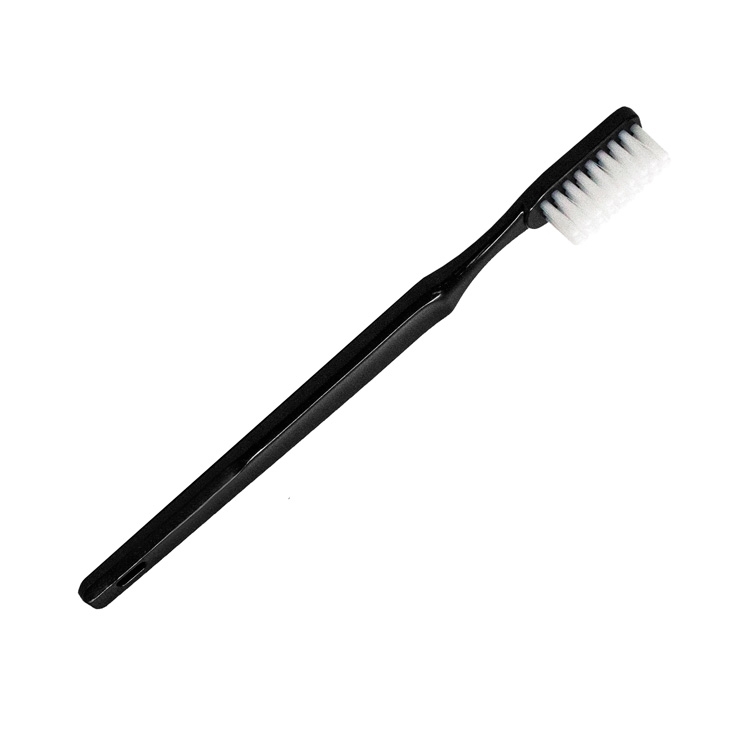 Travel toothbrush, 12 yards Freshmint dental floss and 0.6 oz. Freshmint travel toothpaste. 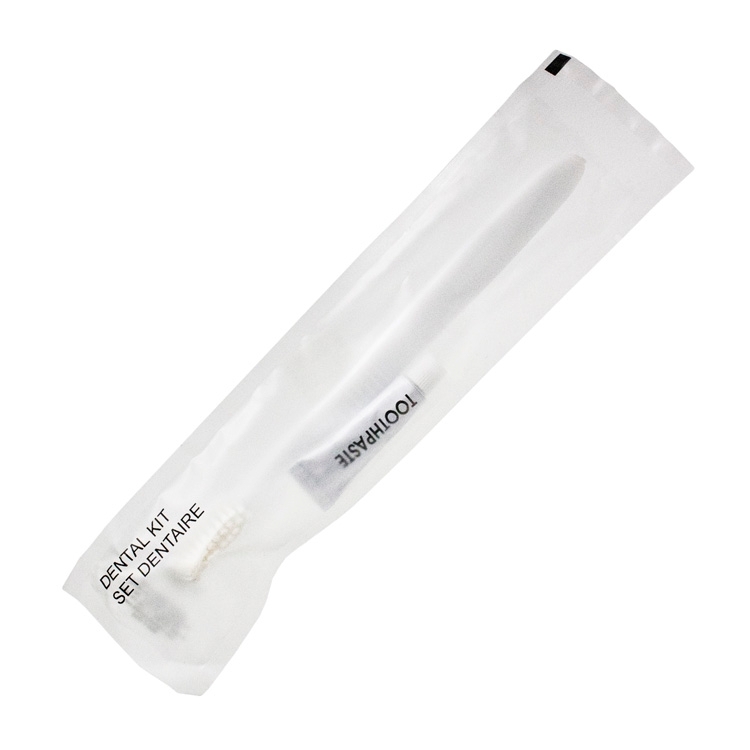 All items are packed in a durable nylon pouch. 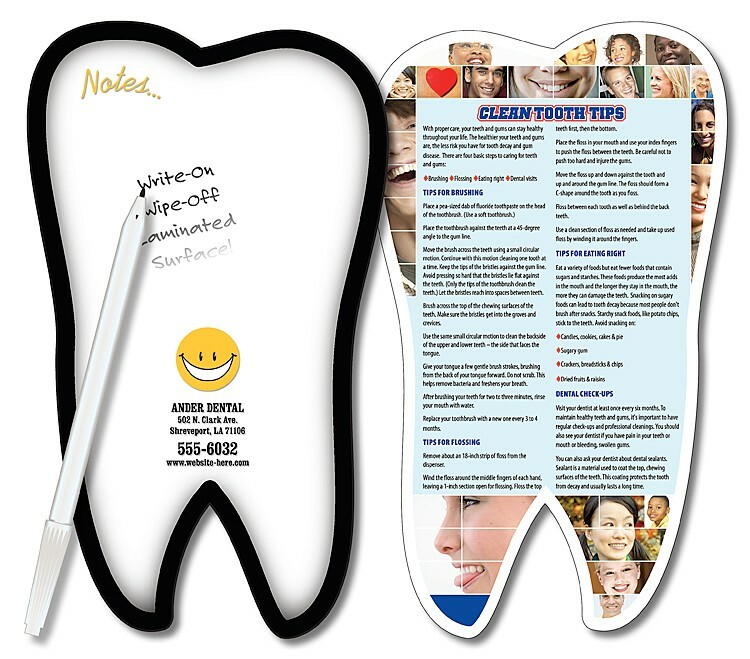 Great as a trade show hand out, new dental patient gift or over-night special event. 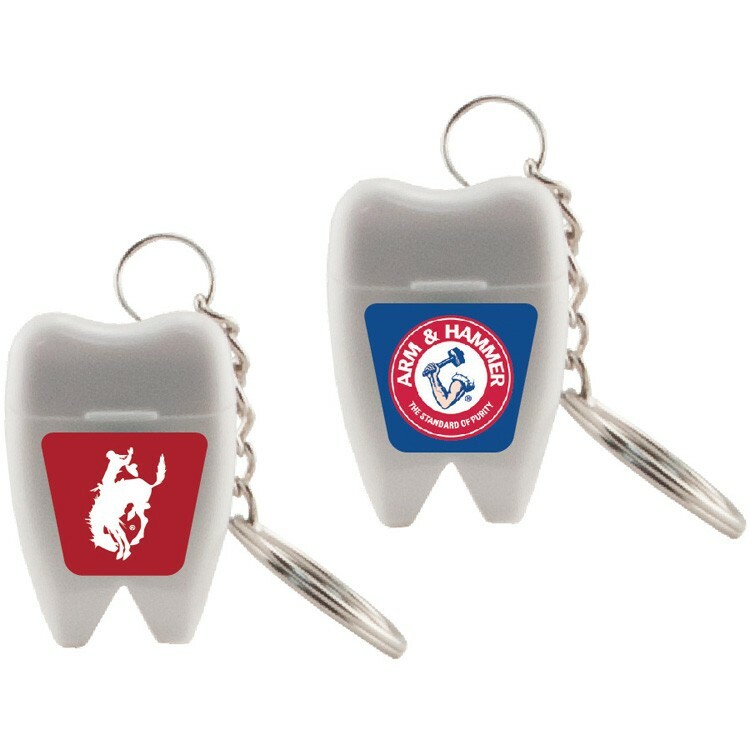 Colors: Red, Black or Pink Decoration: Bag: W 3" x H 2",Toothbrush: W 2-1/4" x H 3/8" Decoration: Print: W 3" x H 2"
• 164 feet of dental floss • Wax coated • Light mint flavor • Perfect for industries such as dental, medical, health, and much more! 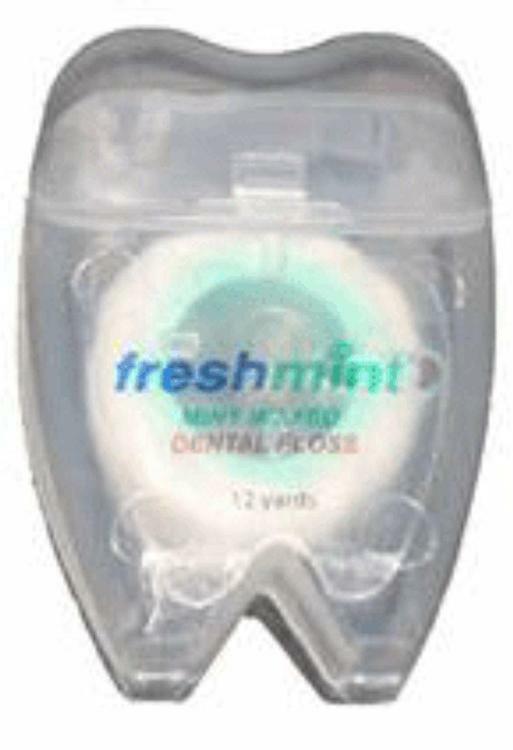 Dental Floss Waxed , Fresh Mint Brand 12 yard. 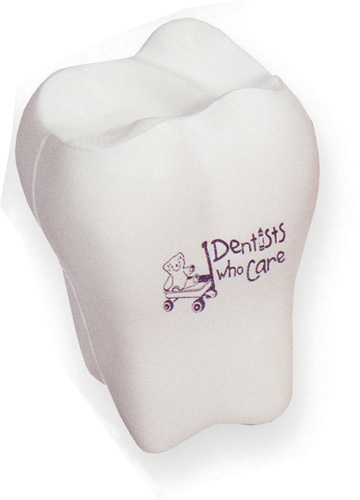 Imprinted with tooth shaped decal. up to full color full bleed included. 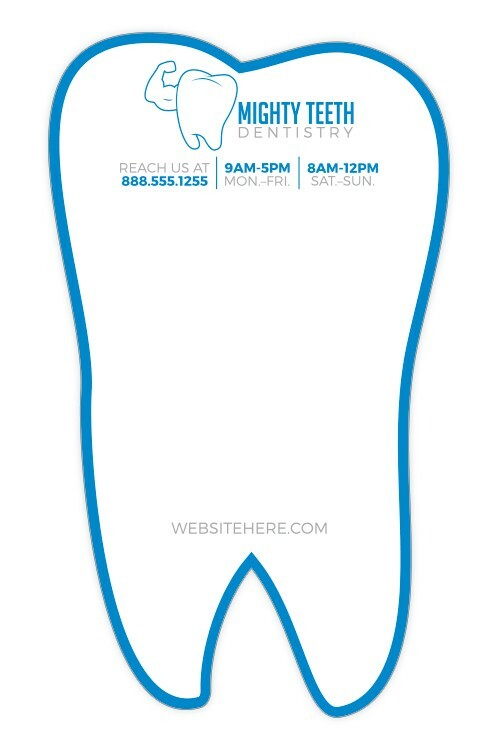 Great for Dental offices. 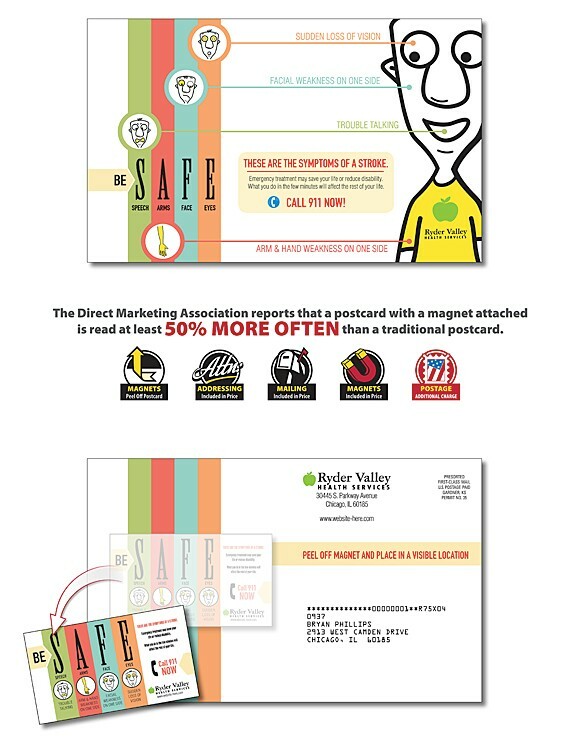 Get your logo and website noticed with this great hand out. 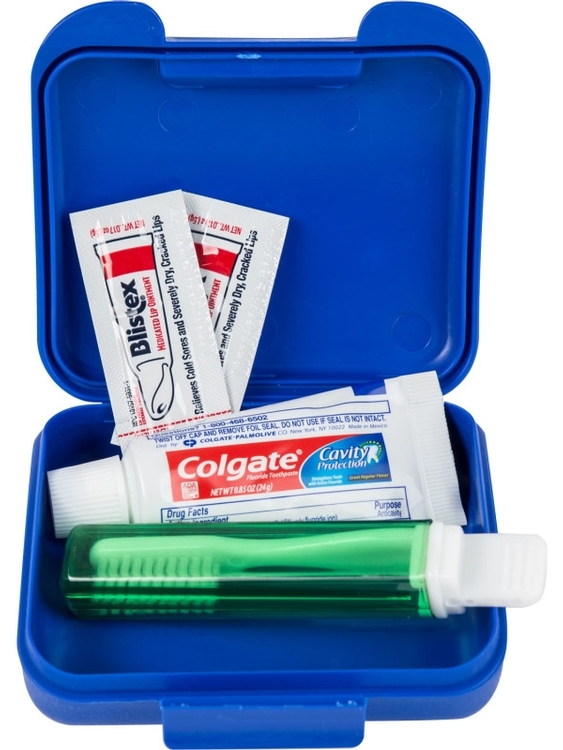 The Dental Kit includes a tooth brush, dental floss (DF44), plastic mint card (PMC04), and lip balm (LB0), to supply you with all your essential office needs. 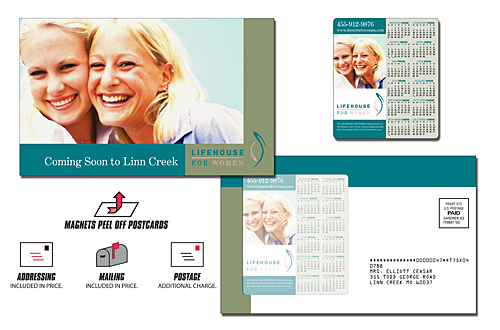 Prices includes a four color laminated decal with our stock artwork on the individual product and a custom label on the outside of the kit, or a four color custom box. 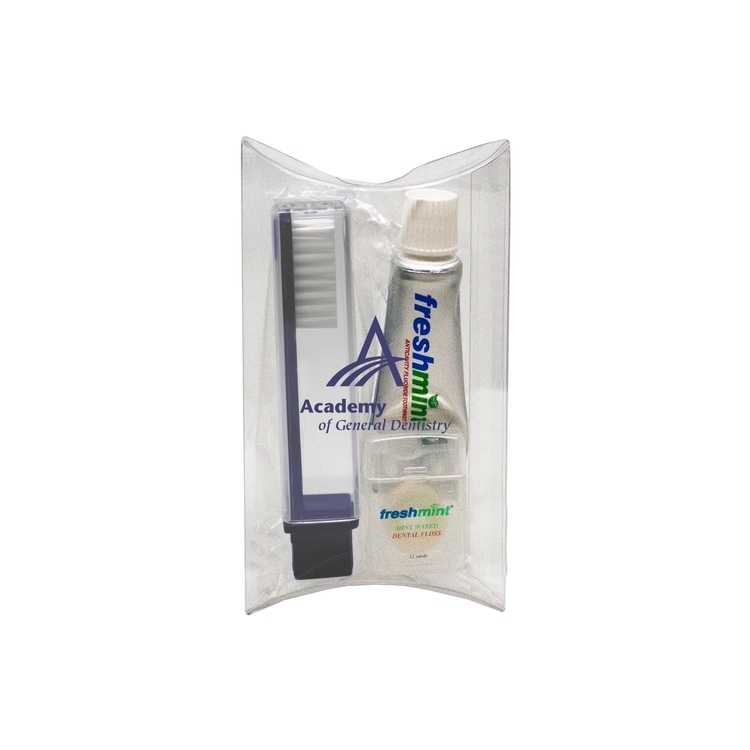 Promote healthy dental hygiene with our Happy Teeth Dental Kit. 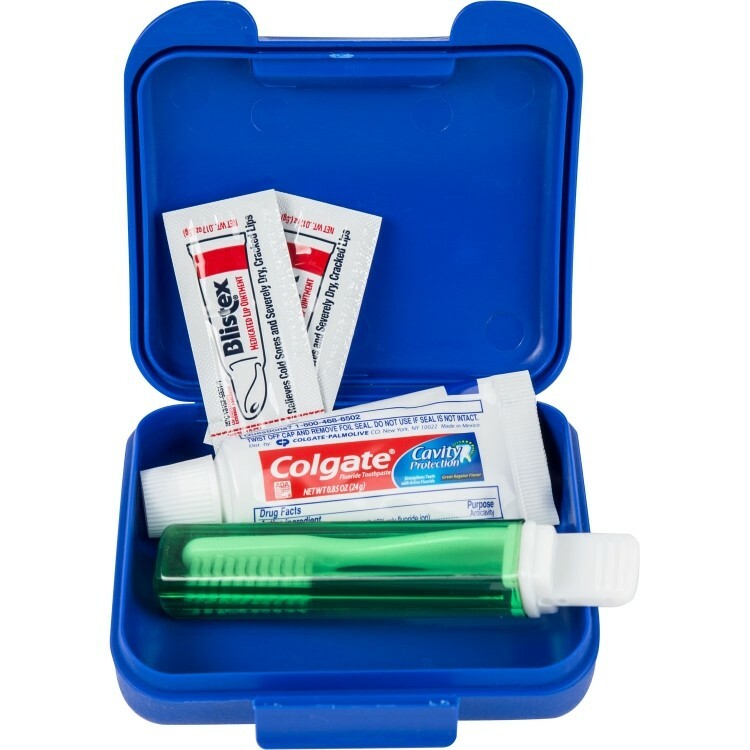 Contains our travel toothbrush and travel sized Colgate Toothpaste, tooth shaped dental floss, tooth shaped mint card, Smile 2 Minute Timer and our classic chap balm. 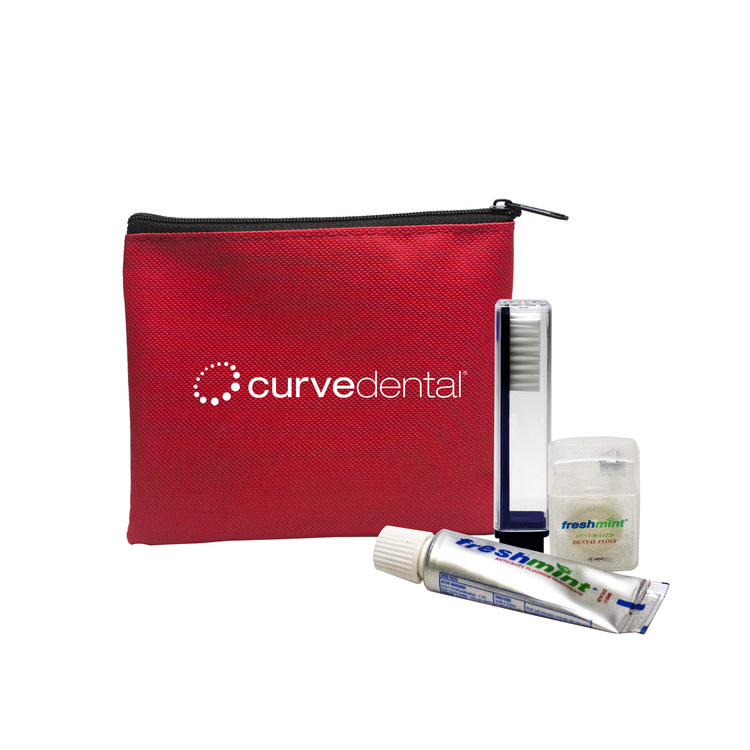 Our kit has everything you need to maintain good dental hygiene, even while on the go. The setup charge includes an imprint on each of the included items and a full color label on the bag. That’s right, imprints on each item with additional no running charges for optimal brand exposure. 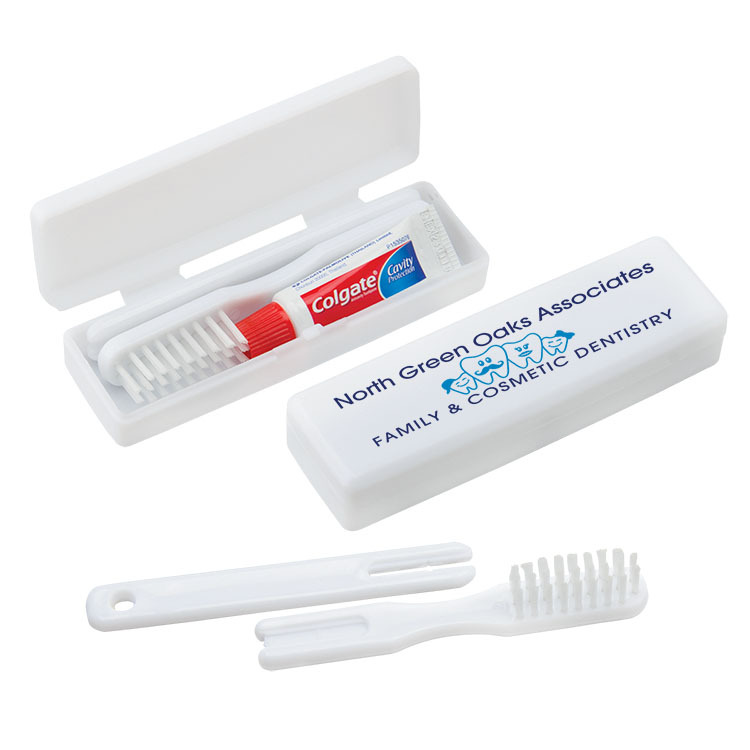 Our kit is perfect for dental health, so much so that even our mints are sugar free! With our low price and high value, you’ll be all smiles. Coloring Book and Crayon Set: A Fun Pack! Make it Easy with the coloring book conveniently packaged with a 4-pack of crayons in a sealed poly bag. No assembly required. Oral hygiene is a necessity, but sometimes a battle with kids. 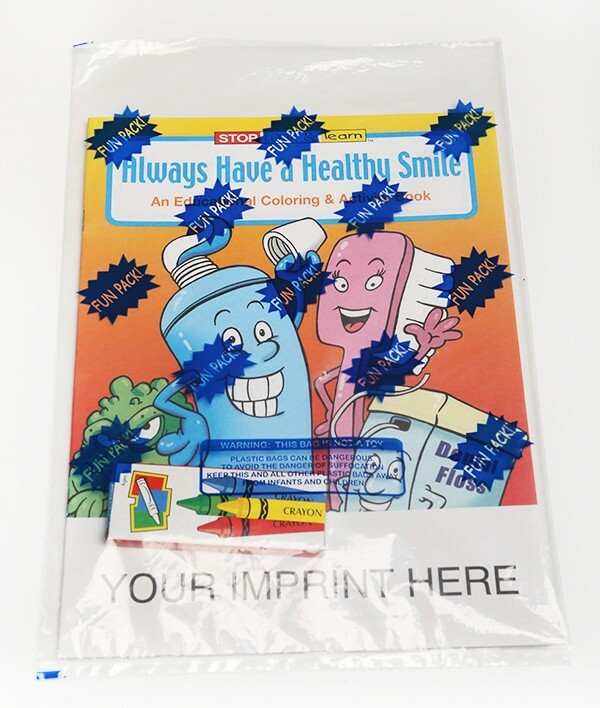 Fun lessons encourage them to brush and floss with the educational Always Have a Healthy Smile Coloring and Activity Book. 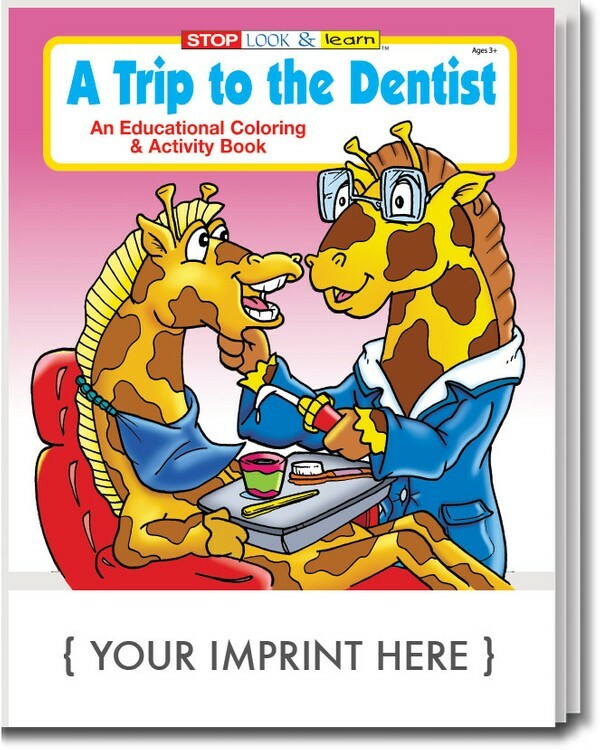 This book features 16 pages of coloring and games, to show your child the importance of oral health. Recommended for children ages 3 and up. 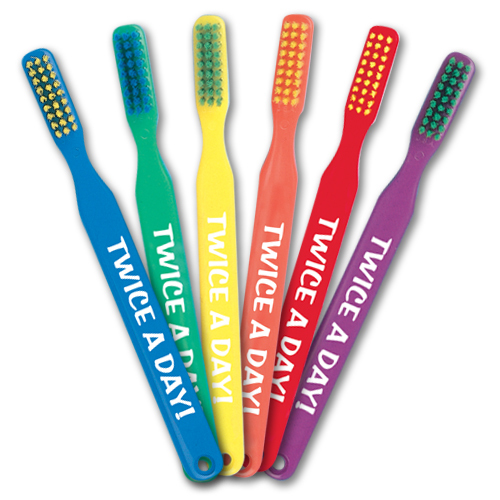 A must for any dental or dentist office or practice or any community health program. 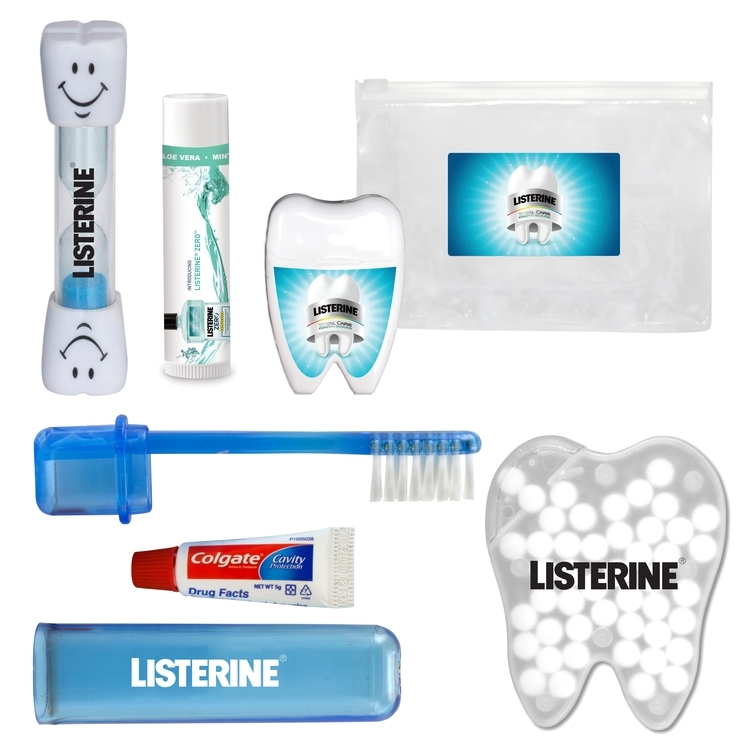 0.60 Freshmint toothpaste, travel toothbrush, travel dental floss. All items packed in clear plastic pillow box. 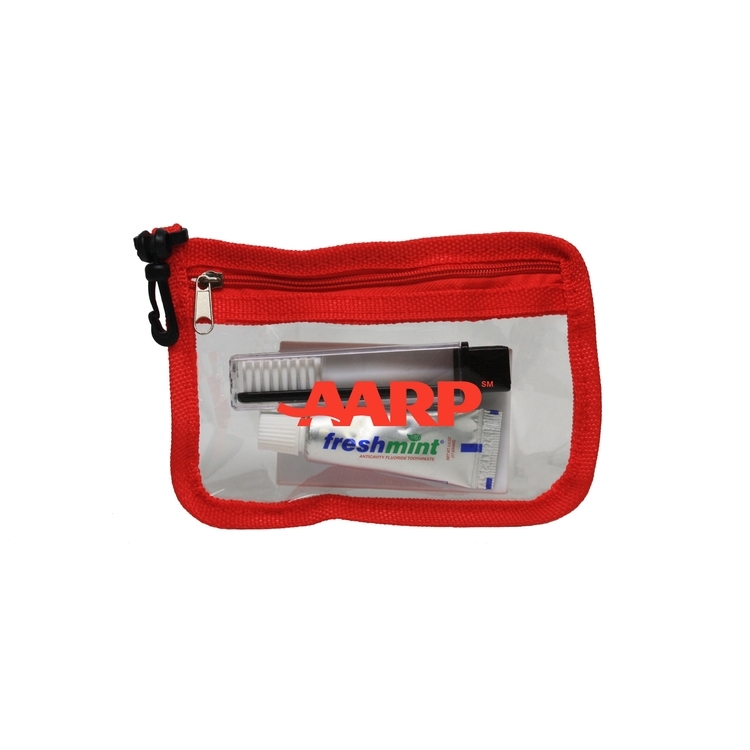 Price includes one-color imprint on your choice of pouch. Generic Toothbrush and toothpaste packed in frosted sachet. 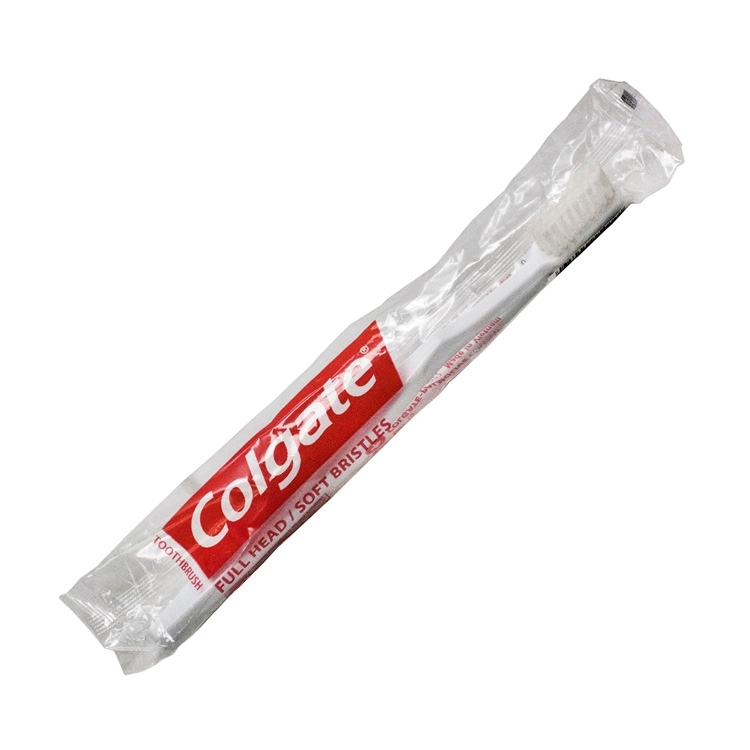 Dental Sachet with Colgate Toothpaste.